Cost-benefit analyses (CBA) are used to measure economic efficiency of a project or policy based on the net present value, benefit-cost ratio, internal rate of return and return on investment criteria. A CBA attempts to establish the best use of public funds based on improved social welfare. A CBA involves identifying changes in costs and benefits due to the establishment of a project or a change initiative. 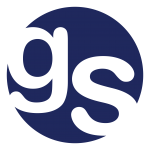 gsc provides value to clients by ensuring cost and benefit categories are identified and measured, where quantifiable, ensuring analysis both meets set guideline requirements and fully exploring alternative methodologies without being limited by a “tick the box” mentality. Consultants at gsc have experience conducting CBAs such as for the development of transport networks, hospital infrastructure at Royal Prince Alfred Hospital, Blacktown Hospital and transport assets such as the M5 and pipeline corridor. Fixing Country Roads – gsc was engaged to develop a road costing economic model for TfNSW to assist in the evaluation of funding submissions from regional councils in the project aimed at improving regional roads. Fuel Pipeline Options Study – gsc provided cost-benefit analysis for a pipeline corridor proposition for TfNSW. Rail Lubricators Cost-Benefit Analysis – gsc undertook a cost-benefit study on the establishment of a network of rail lubricators to improve rail operations within the Sydney Trains network.